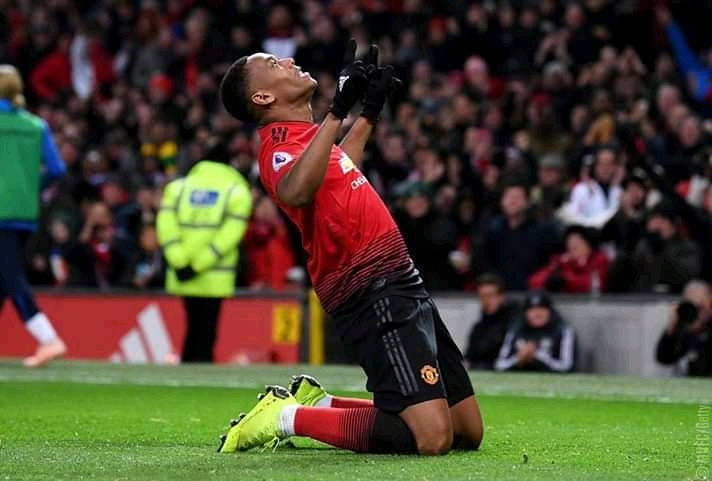 Man United head coach "Ole Gunnar Solskjaer" has urged United's talented young striker Anthony Martial to keep improving and emulate Manchester United hero Cristiano Ronaldo after signing a new deal at Old Trafford. The France forward extended his deal at Old Trafford on Thursday, committing himself to the club until June 2024, and Solskjaer said he told the 23-year-old he could follow in the five-time Ballon d'Or winner's footsteps as that will make him become the best player. "I'm here to help players, to guide players until the summer and I think when you sit him down and talk to him, for example, about Cristiano's career, what he's made of his career and how he's got there and we talk about all the fantastic players with the history they've got, I think Anthony just said, 'If I can be a part of this I'd like to'. "I speak about my experience at this club and what [Martial] can achieve. I talk about Cristiano's career, what he's made, how he's got there. "That's up to any player, how you make a decision on how to develop your own career.